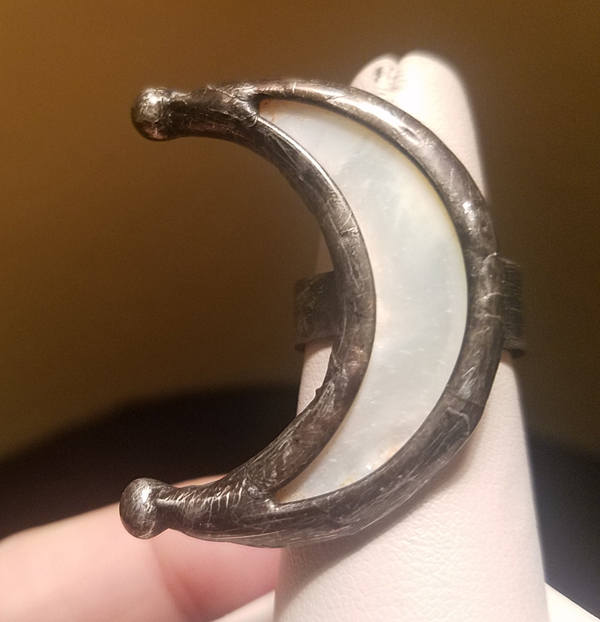 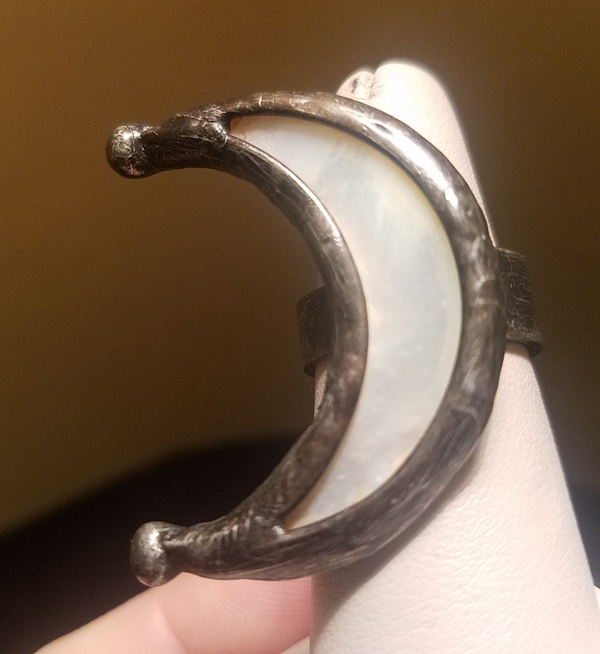 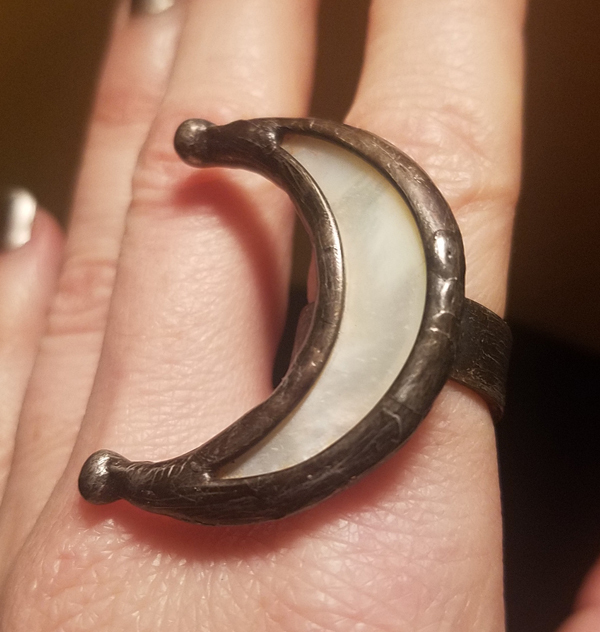 The ring is in a crescent moon shape with mother of pearl inlaid stone. 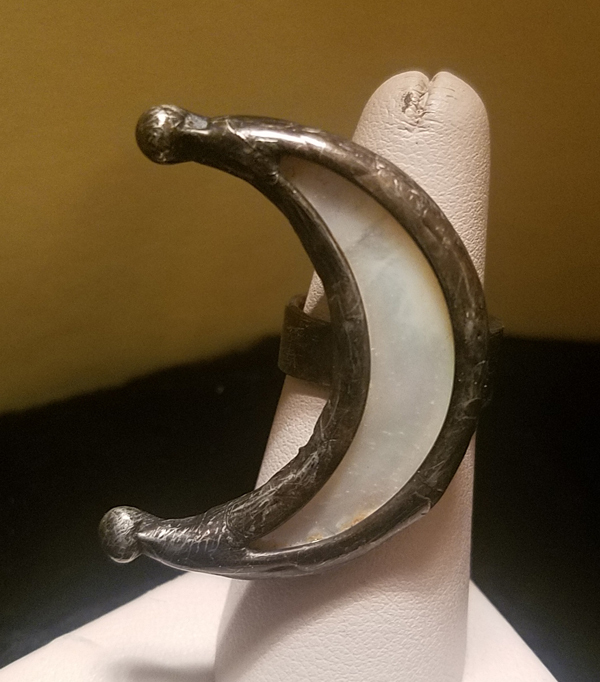 It's huge - measuring 1 1/2" long and 1 1/4" wide. 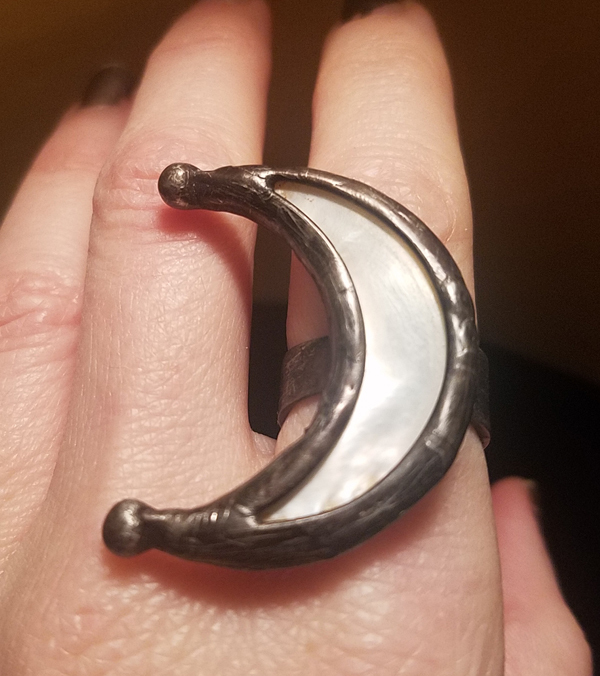 The ring is a size 6 1/4.